There is something almost instinctual about autumn, compelling us to clear clutter, repair damaged items, and discard what we no longer need. In short, we seem to share the desire to organize before the winter arrives. Perhaps you are welcoming a parent or in-law to live with you, or moving your student out to the dorm. Maybe there is a home office in your dreams. Regardless of the impetus, fall is the time for storing our things to make room for growth. Our garage is the receptacle of things we want to save but without some organization, it becomes unbearable. De-cluttering first to make room for a new garage interior design can be the answer. If you’re aiming to make room for the cars and get everything off the garage floor, these tips should help you on your way. This is usually the hardest part for most people. You look around and think it is too overwhelming. We have all been there. The car has been relegated to the driveway, while all the stuff that you moved out to make room for that in-law unit or the desk abandoned by your college bound student, has found a new perch in the middle of your garage. Now it is time to allow the car to reclaim a spot where the overflow has been. Take a deep breath and clear out everything you do not want or need any longer. “Clear to where?” you ask. You might be surprised at how simple it is to put your old stuff to good use. Remember, someone else really needs what you no longer need. Depending upon what you find, there are several outlets to consider. The Canadian Diabetes Association will pick-up clothes, including footwear, bedding, toys, and any small household items, including computers. The phone number is 1-800-505-5525. Habitat for Humanity ReStore will accept windows, doors, working large appliances, toilets, vanity units, lighting fixtures, and more materials left over from home renovation projects. In fact, did you know they will sometimes arrange to have someone to dismantle / remove units that are to be donated? They offer that free service. ReStores also accept non-upholstered furniture, such as dining tables, desks, or dressers. You can even get a tax break, as the proceeds go directly to helping needy families secure homes. Many charitable organizations will be happy to accept your lightly used items, as long as they are in good, usable condition. There are agencies that help so many worthwhile causes. The top three in the Greater Toronto Area are Value Village, Goodwill, and the Salvation Army, all of which work toward the betterment of our local communities. Most will not accept stained mattresses, broken items, or worn out clothing. Donations should be usable. If you would not use it, do not donate it. You probably are beginning to find a bit more breathing room by now. Look at the items that are left. If they are broken or dilapidated throw them in the trash. By now most of us understand the basics of recycling, but if you have questions about whether it’s possible to recycle certain products and where you can drop them off, you can check with the City of Toronto. Eventually we all come to the corner or cabinet that has been housing left over paint, thinner, pesticides, motor oil, or other hazardous substances that cannot be thrown away in the conventional fashion. Thanks to Project Orange Drop, you can locate places to safely dispose of these substances, and still protect the environment. This agency accepts used batteries, pressurized cylinders, oil filters and the items listed before. Now that you have not only decluttered your garage but supported the community and helped others to help themselves, it’s time to organize what’s left. As you consider your options, you might want to consult a garage renovation specialist, who can help you determine long term needs, as well the immediate ones. Your in-law may become your nanny or aging and in need of more care so moving in with your family may become one of the options. Realistically, you will probably re-arrange furniture and other items. Your empty nest may be revisited by your college grads in search of entering the full-time work force. You will want to be certain that your treasures are as safe as the day you stored them. You may want to reconfigure the storage on the walls from season to season. 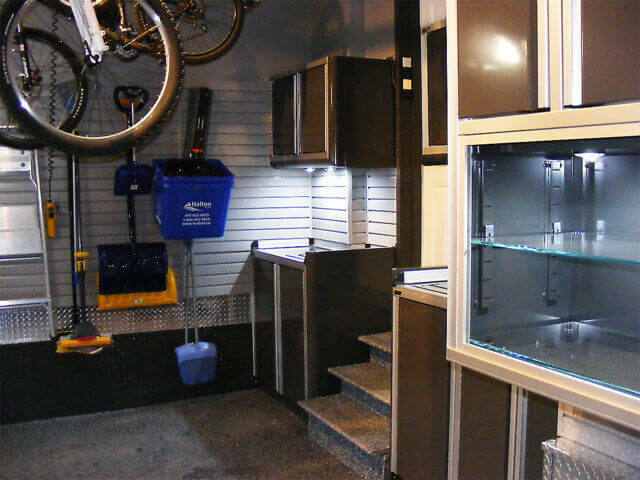 Keep these things in mind as you work towards your renovating your garage space and storage. With the clutter gone, it’s time to store your things safely and securely while still get your car(s) into the garage.